Lead token. 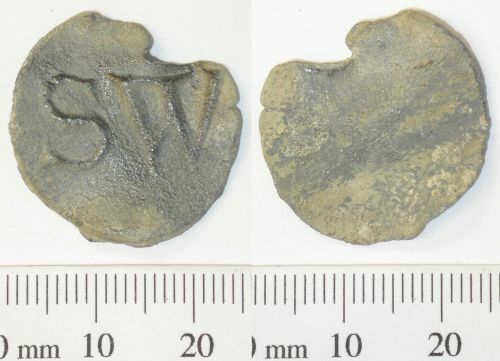 Circular lead disc with relief SW on one side; the other side is undecorated. Part of the edge is damaged. Post Medieval, 18th century? Diameter 25.22mm, thickness 1.86mm, weight 5.55g.